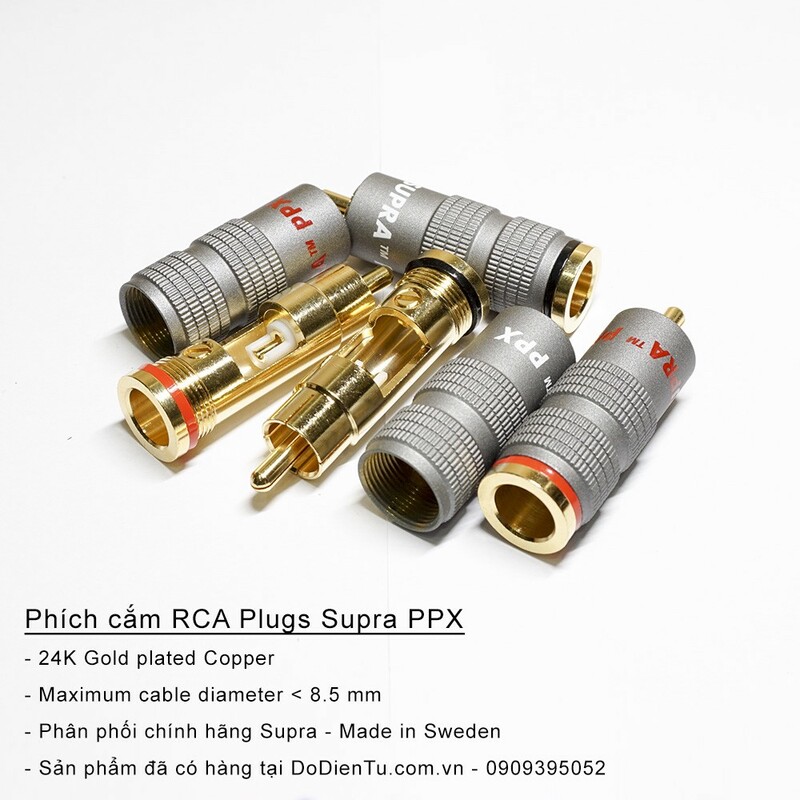 24K Gold plated RCA (Radio Corporation of America) contact with good electrical properties. 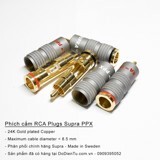 Fully shielded, RFI proof, robust design providing for cables upp to Ø8.5 mm. Mechanical cable strain relief with a screw clamp and contact by expanding fixation to any equipment with RCA female chassis contacts. Features a soldering slot for 0 (minus) signal lead, also with screen drain wire and a metal jacket that is front mounted. A budget alternative to our famous Supra PPSL and a suitable choice whenever capacity to fit wide cables is desired.